The "Albacore" combines perfromance and volume. 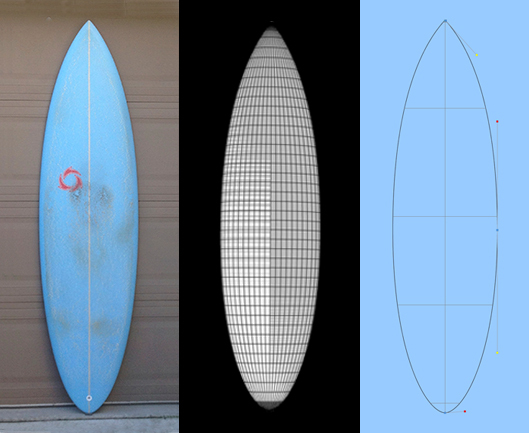 This design has the length, thickness and surface area of the shortboards from the beginning of the shortboard revolution with the rocker, foil, outline and rails of today's contemporary shortboard designs. The Albacore stirs the gene pool to bring short board performance to a maximum surface area - high volume design. This design offers great wave catching features and great paddling mobility in the line up with it's extra surface area and volume and pure shortboard performance with it's progressive rocker, profiles, outline, bottom contours, and rails. This design capture short board performance in a maximum volume board.